Cloud computing is considered as a very hot topic these days – it effectively means using applications that are based on the internet instead of on your computer – for example, using webmail, such as Gmail instead of an email client, such as Outlook. But what are the advantages of using the software in this manner and why are many businesses increasingly moving towards this approach? Cloud computing offers Web-based applications that allow your staff to access their information from anywhere, and allow them to view and edit the same information at once. This allows more collaborative working and ensures your team works more efficiently. For doing this you have to use cloud migration service, through which you can easily migrate your office suite to the cloud. 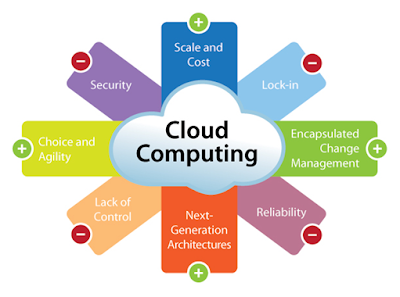 The Cloud Computing service provides Software as a service (SaaS), which allows us to ensure that all users of the software are using the same version. This is because updates to the software are deployed by us, rather than expecting the users to update software that is sitting on their computer. This means that this software is easier to support as we immediately know what version you are using if you require support. Cloud computing services are hosted the web-based applications, this ultimately helps the developers to roll out the maximum improvement that means a work done by any developer for one client can be enjoyed by other customers too. Cloud applications are generally backed up at least once a day. Today, it is imperative to take backups to secure your sensitive data. But people think this is not the part of our job, so backups can be patchy and sometimes even forgotten. Even if the backups are done, there can be a lack of knowledge of what to do if the backup is needed and many businesses that I have visited have never even thought to take the backup off site. Now there is no need to pay for software upfront, no need to invest in the expensive infrastructure of a server, and do not need to hire a staff of any level of higher expertise from web-based software. You just have to pay for what you use. Due to lower investment costs, it is easy to change applications. You can rapidly increase the number of servers in your application is hosted on, which means as you increase the number of staff; the software keeps up with you. Cloud computing has the potential to be a change maker in every sector and field and it has been doing the same ever since its commencement. The future of cloud computing looks very optimistic as it will take over every phase of our lives and bring positive changes. We just have to wait and watch how fascinating these changes would be.